When Adrienne Gregorek was 14, she injured her hamstring and was sent to physical therapy. "I was super frustrated," she remembers. "I went to a clinic where there were mostly older people being treated and felt like the staff didn't understand the needs of a dancer. When they were re-testing me at the end, they said, 'You're good,' even though I really wasn't where I needed to be for optimal strength and flexibility." For many dancers looking for their next step beyond the stage, a career that continues to connect them to the art is a no-brainer. In Gregorek's case, her interest in the human body, coupled with her passion for dance, led her to a career in physical therapy and landed her a job at Westside Dance Physical Therapy in NYC, where she treats dancers, including members of New York City Ballet and students at the School of American Ballet. Gregorek got her start in dance when her parents enrolled her in dance class at age 3. She danced on the competition circuit through high school, competing at Starpower National Talent Competition and Dance Masters of America. After graduating from high school, Gregorek knew she wanted to pursue a dance career—she attended Western Michigan University and got her BFA in dance performance. Thanks to a passion for science and a longtime curiosity about the workings of the human body, Gregorek ended up also getting a degree in biomedical science while in college. After graduating with dual degrees, Gregorek moved to NYC to dance. She worked on small but meaningful projects, and continued taking classes. "Eventually I hit a wall where I was unhappy with the side jobs I had to do," she says. 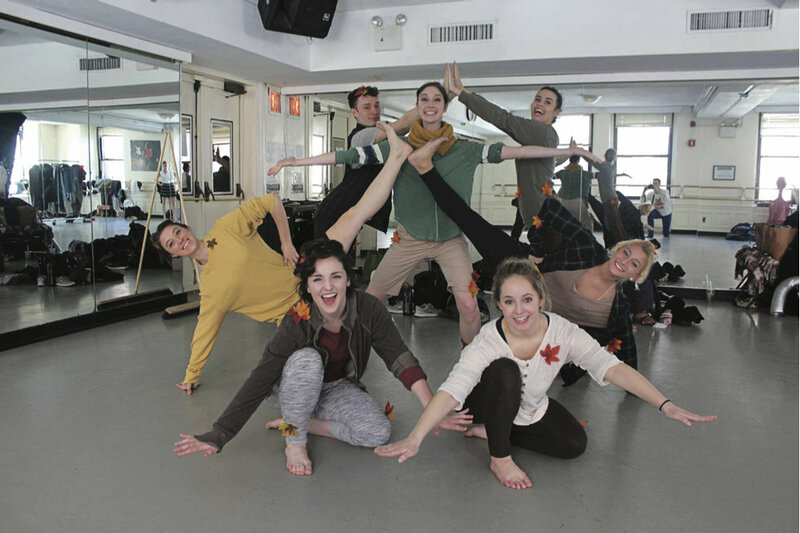 "I reached out to one of our old dance professors who taught my kinesiology class and said I was interested in going back to school and would love to continue to work in dance in some way." That teacher pointed her toward a potential career in physical therapy. 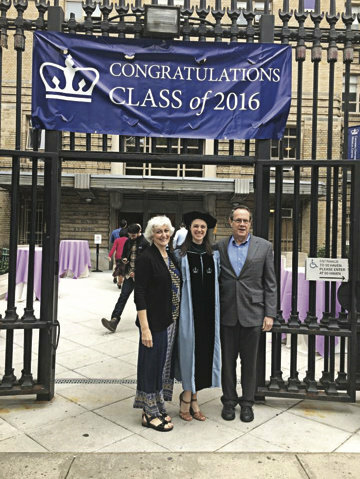 Eventually, Gregorek enrolled at Columbia University and received a doctorate in physical therapy. As a physical therapist, Gregorek is on her feet most of the day and frequently demonstrates exercises for patients. "On a normal day in the clinic, I see up to 12 patients for regular follow-up visits," she says. First-time appointments include an assessment, which takes longer and may decrease the number of appointments in her day overall. When she goes to the School of American Ballet to work with dancers on-site, she sees as many as four dancers per hour. Gregorek goes into each session with a plan, but often has to think on her feet when a dancer is presenting differently than expected. "We see a lot of ankle sprains and stress injuries to the foot," she says. "Ankle sprains might not seem like a big deal, but once you sprain it once, it becomes much more likely that it'll happen again and you can end up with some chronic problems." She gives a lot of foot and ankle strengthening exercises to patients with ankle injuries, but in conjunction with exercises to improve balance and proprioception, hip strength, and alignment of the entire leg. After ankle and foot injuries, Gregorek sees a lot of knee, hip, and lower back injuries. As a physical therapist, Gregorek has found her background as a dancer is a great asset. "I think dancers have a really wonderful understanding of their bodies and how it all works and moves that helps them explain those motions to nondancers," she says. She also appreciates the versatility that dance taught her. "Choreographers might ask to see steps with slight variations and you have to be able to adapt to those changes quickly," she says. "In PT you need to be able to change your approach to a patient because what works for one person might not work for another." Gregorek says that being a dancer herself is almost critical when working with dancers in particular, because they describe their pains with dance vocabulary. In her experience rehabbing her hamstring as a teenager, she remembers feeling like the physical therapists just couldn't understand what she was doing with her body. "They thought, 'This girl can walk, she can climb a flight of stairs, she can do everything that a normal person needs to do without pain, so she's healed,' " she says. Having a shared understanding of what dancers are expected to accomplish with their bodies helps Gregorek excel in her job. "It allows you to really connect with the dancer on a personal level." A version of this story appeared in the February 2019 issue of Dance Spirit with the title "A Physical Connection."